Drainage issues are very common problems for exterior environments that are too flat or that may be comprised of dense non-porous earth and soil. A professionally designed trench drainage system can be essential for ensuring stormwater and runoff is able to be properly channeled. Essential drainage is essential when it comes to protecting your property and landscaping from the damages caused by soil erosion or standing water. Property owners in Ann Arbor MI would be wise to seek out the equipment installation options and other landscaping services that only an experienced professional can provide. From homes built in flood-prone areas to outdoor landscaping that has been poorly designed, there are many common causes for drainage problems. Landscaping and architecture design that fails to account for water flow and runoff. Hardpan soil and non-porous surfaces that may leave standing water with nowhere to go. High water table locations and lower elevations that may be inundated with off-site runoff. The installation of a drainage system can ensure that excessive water and moisture can be effectively channeled away from any areas where it has the potential to create problems. Being unable to access areas of your yard or property due to standing water or excessive mud and damp soil can become a source of considerable inconvenience. Poor or insufficient drainage in high-traffic areas like outdoor footpaths, walkways and even parking areas can become an even greater inconvenience as it may restrict access to outdoor areas or limit your ability come and go with ease. Trench systems and other perimeter drainage equipment options and solutions can ensure that high-traffic areas can drain more quickly and efficiently, eliminating many of the issues and inconveniences associated with insufficient drainage. Poor drainage may result in problems far more severe than a muddy yard or swampy exterior area. Runoff that is not properly channeled can lead to extensive soil erosion which may damage outdoor landscaping, drown or uproot expensive plants or even lead to issues with your home’s foundation and structural integrity. 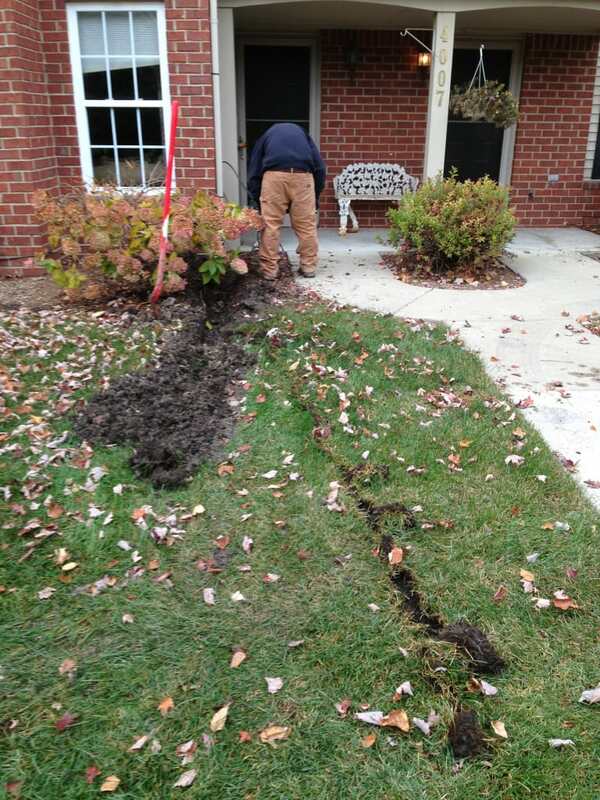 For property owners in Ann Arbor Mi, trench drainage systems and installations can be an important asset, one that can help to ensure their home and property will be kept safe from the potential damages that be caused by runoff, standing water or the presence of constant moisture. 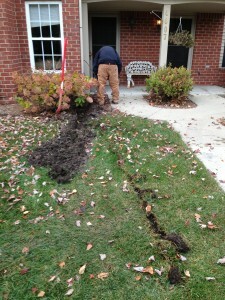 Arranging for the installation of a trench drainage system through the wrong service provider could be a costly misstep. Landscaping service providers that lack the training, experience, and tools needed to properly assess the drainage needs of an outdoor area and ensure that equipment choices and installation efforts are able to be as effective as possible may be little more than a liability. For home and property owners who are interested in ensuring superior results or getting the best value for their investment, it always pays to do business with the best.